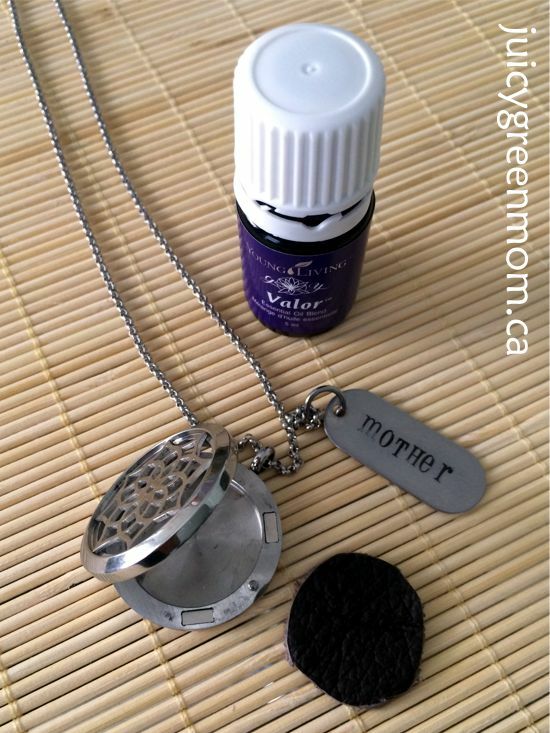 When I started using essential oils, I heard people talking about diffuser necklaces and how much they loved them. I first thought – really? You need to smell something all day? I was so used to getting everything unscented that I didn’t really see the value of aromatherapy. Then I experienced Valor essential oil blend. Young Living’s Valor blend contains spruce, blue tansy, and frankincense essential oils. The legend is that Roman soliders would bathe in this blend before going into battle – hence the name. This is the first essential oil blend that made me start believing that there was truly something to aromatherapy. 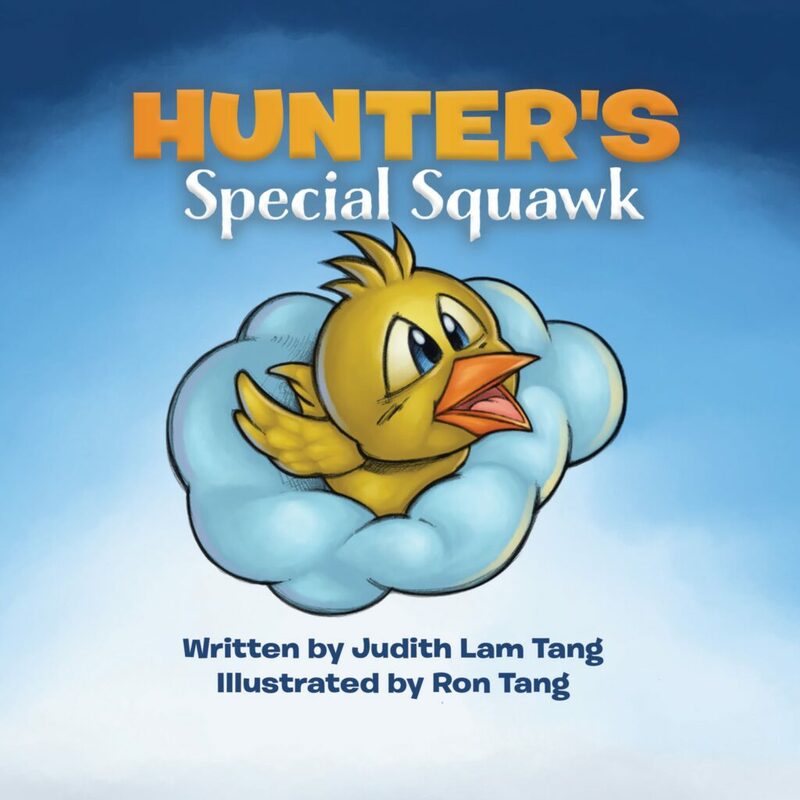 My daughter loves Valor too – she asks for it when she needs to “feel brave” before a dentist appointment or a piano recital. So I was anticipating that she would want it for her first day of Kindergarten. 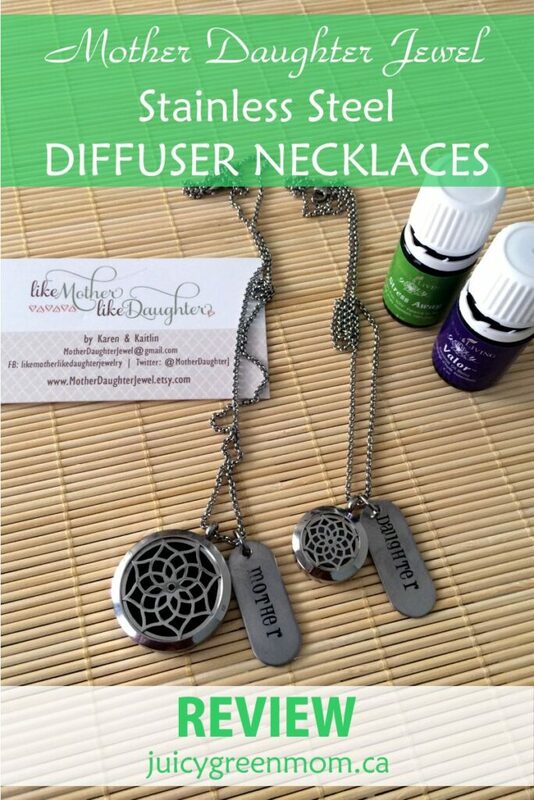 And a diffuser necklace would mean she could have it close to her all day long. So I started looking for diffuser necklaces that would fit the bill for a special event like beginning school. I wanted to get something that was stainless steel, and not something plated, because I am unsure about how silver plating would hold up with lots of exposure to essential oils. 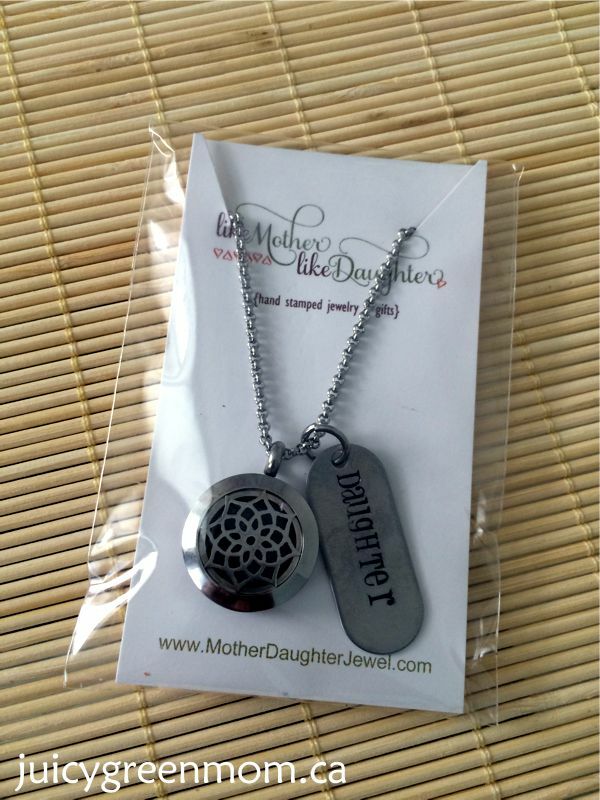 Enter Mother Daughter Jewel on Etsy. 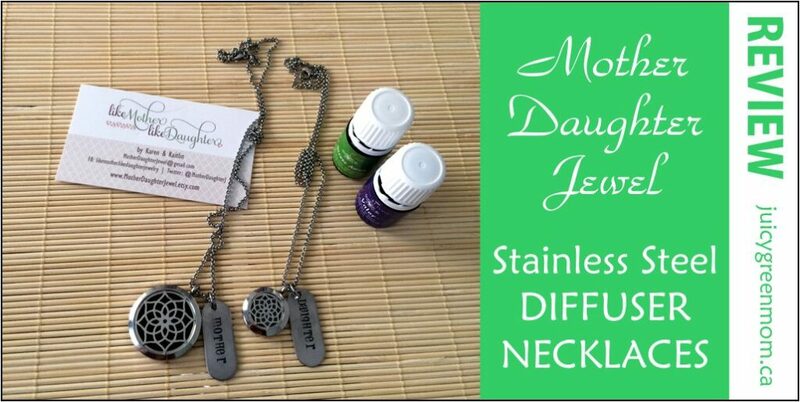 Karen and her daughter make customized hand stamped jewelry, including these beautiful stainless steel diffuser necklaces. I wanted to get one for myself too, so they made a large one for me and a smaller version for my daughter with hand stamped “mother” and “daughter” tags. They have a wide selection of jewelry, not just diffuser necklaces, all customizable, and they get it out to you super quick, too! I was really impressed with how quickly it got to Edmonton from Tennessee. I am so excited to give this to my daughter on her first day of Kindergarten! I think it’s going to be so special for her to have one that matches mine. They include 3 different leather pads with the necklaces so that you can change them out for a different scent. The locket has a magnetic closure, so you know it’s always secure. I just put 1 drop of essential oil on the fuzzy side of the pad, insert it into the locket and close. Easy way to brighten the day! Check out their other aromatherapy jewelry here. I am so happy with the ones we received! Would you try a stainless steel diffuser necklace?